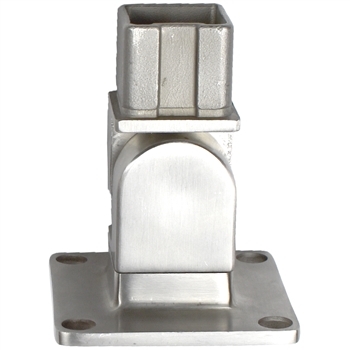 316 Stainless Steel Pivoting Anchorage for Square Tube 1-9/16" by 1-9/16"
This INOX Anchorage has a stainless steel design, a 1 lb. weight, and a pivot base. 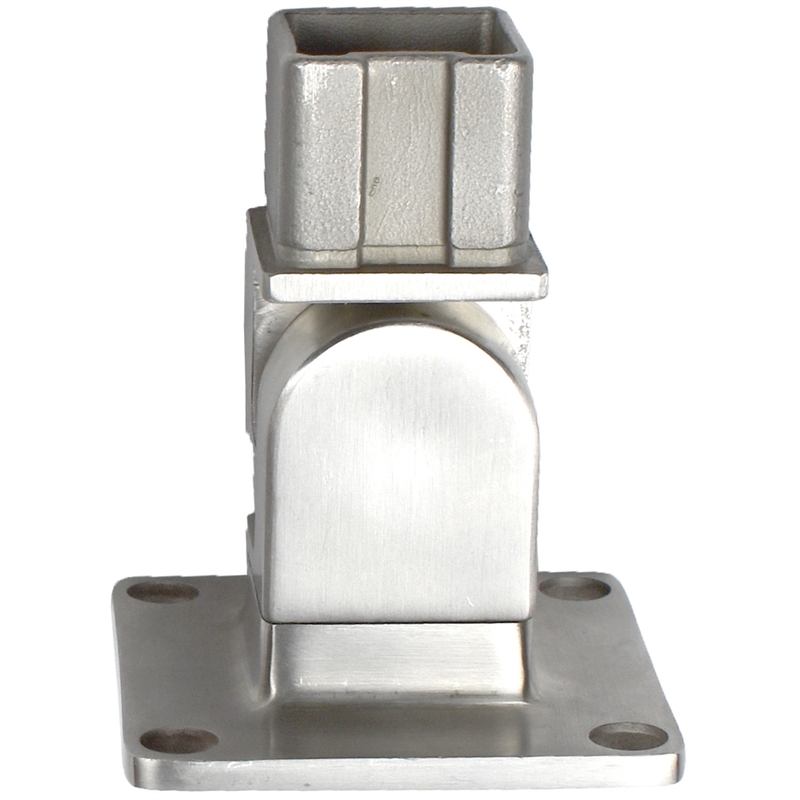 It fits 1-9/16" by 1-9/16" by 5/64"
Width 3 1/4" x 3 1/4"
316 Stainless Steel Anchorage 3 3/10" Dia. for Tube 1 33/50" Dia. 316 Stainless Steel End Cap Rounded for Tube 1 2/3" Dia. 316 Stainless Steel Rounded Wall Glass Clamp For 5/16" to 1/2" Thickness Stainless Steel 3-Way Flush Fitting "T" 1 2/3" Dia. x 5/64"